It’s casual Friday again. At the risk of seeming formulaic, may I suggest a smart jacket, white blouse and jeans? This jacket is one of my favorites — but it’s not your standard jacket. 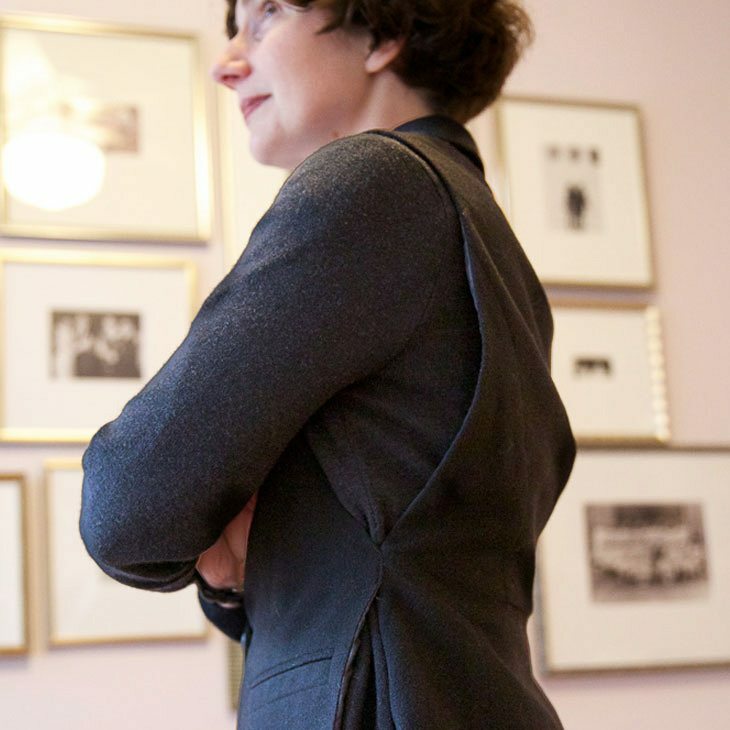 The body of the jacket is wool melton and the sleeves are merino wool. It’s all put together rather ingeniously, like a vest lined with an open sweater. It’s longer in the back than the front, creating a cutaway effect, which is both equestrian and feminine. Let’s see if a closer look shows what I am trying to convey. I bought this a couple of years ago on Gilt and when I think back on it, the pictures on Gilt utterly failed to show how the jacket was fabricated and constructed. I was very surprised when it arrived. Gilt also showed the jacket with shorts on a sullen model, who I must admit looked very good. I have’t tried to recreate that styling; I could manage the expression, but not the shorts. LOVE this jacket. I’ll have to start looking more closely at seemingly innocuous jackets for fun construction like this.